Congrats to Dan from Texas! 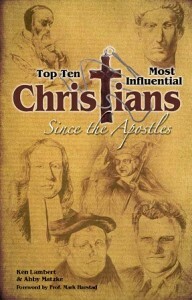 Dan from Texas won a copy of the book Top Ten Most Influential Christians Since the Apostles. Hey, Dan! Let us know what your favorite part of the book was! You can download an excerpt of the chapter I wrote here. Click here to purchase the book. Enter “Top Ten” in the search box in the upper right corner of the screen and the book will appear below the search box. Click on the book and then add it to your cart. If you want to purchase more than 10 copies, email Sandy@ApprehendingGrace.com for discount pricing. Comments Off on Congrats to Dan from Texas! Just a quick reminder, friends, that late tomorrow, July 1, we’ll be drawing to see who wins a free copy of Top Ten Most Influential Christians Since the Apostles. Click here to download an excerpt of the chapter I wrote for the book and to register for a chance to win a copy. The book is a compilation of chapters by thirteen authors from a wide range of theological backgrounds, vocations and life experiences. For more about the book, check out the blog I wrote announcing its publication. In a clear, down-to-earth fashion, [the authors] attempt to make sense of the messy business that is Church history by sharing the stories of those who have left a lasting impact upon the face of Christianity. I found the book to be a delightful read and can easily recommend it to anyone who is interested in Church history, but isn’t entirely certain where to begin. 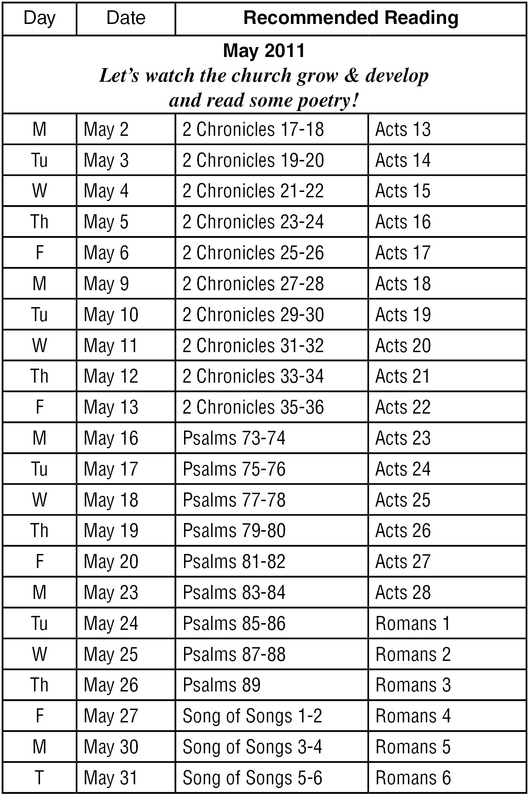 This is a great way to get an overview of the history of the people of the church….Well done! Rev. Dr. Paul C. Hunsicker, Sr.
Click here to register to win a copy. May you be blessed this Resurrection Sunday, friends! I was so disappointed to be sick today and miss church – celebrating the resurrection of our Lord among my fellow believers and co-workers for the Gospel. As I sat covered in a blanket watching television preachers, I realized that I was not entering into worship and that I had a choice. I was feeling a little bit sorry for myself and wishing that God would meet with me. That’s when I realized that simply watching television was not likely to bring about my desired outcome. This is not a statement against television ministries. I have been greatly ministered to through television ministries. But today, this Resurrection Sunday, I was simply not engaging. Just laying here huddled under a blanket was the easiest thing to do and if I was more sick than I am it would have been the appropriate thing to do perhaps. But I have a little energy – not enough to get up and move around, but enough to reach for my computer (which is nearly always within arms’ reach) and go to YouTube. I searched for the classic Easter hymn “Up from the Grave He Arose,” also known as “Low in the Grave He Lay.” I was so blessed as I listened to these four versions of the song. Not only did it turn my living room into a place of worship and adoration, it provided a simple message spoken in my spirit by the Lord as I listened and sang along with the recordings – as believers in Christ, we are a part of something so much bigger than ourselves and our congregation and our community and our country. Our faith travels back in time to Christ’s resurrection, and before that His birth, and before that His working in our world through His Chosen People to bring about our salvation. His resurrection is the central event to that salvation; it is the event that makes it possible. We are connected to all believers who came before us. Our faith is practiced around the world in all cultures. We are connected to all believers celebrating this Resurrection Sunday – not just today, but every Lord’s Day when we meet for worship. It was the variety of ways this single hymn was available on YouTube that spoke these things to my heart and spirit. So if you’ve got 10-20 minutes, sit back and enjoy some of these recordings of the classic hymn hymn “Up from the Grave He Arose.” What a blessing it’s been for me. I pray it blesses you as well. A Reggae/Hispanic version – I love that it mixes a light Reggae beat and then throws in a verse sung in Spanish (most of the song is in English). This version had the most impact on me. Hallelujah! He is risen! He is risen, indeed! Thank You, Lord! Comments Off on Hallelujah! Christ Arose! 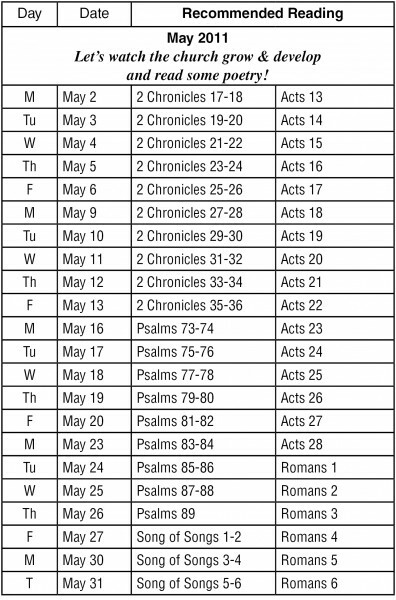 Go to church tomorrow…and next Sunday and the following Sunday and the Sunday after that! His article is worth reading and taking to heart. Has a broken relationship (and lingering unforgiveness) caused your love for the Church to wane, and hence your church attendance to wither? Check out Frangipane’s article for encouragement to move beyond unforgiveness and lackluster church attendance. As I studied church history in grad school, I learned something that I hadn’t realized before. I suppose it’s pretty obvious, but it had escaped me – the early Church really were learning what God had in mind for the Church as they went along! Now I suppose that continues to be true for us today, but they were really just figuring it out – everything we take for granted today was birthday in that first century (well, at least everything that’s of God). It’s obvious as we read through the book of Acts. Yesterday, while Resting at the River’s Edge, we read about how Peter took the Gospel to the Gentiles for the first time. God gave him a vision of unclean animals being lowered from the sky on a sheet. When told to “Kill and eat,” Peter objected because the animals were those considered unclean by the Jews – they’re the very same animals we’ve read about as we’ve read through Leviticus this month. God’s response would surely have shocked Peter: “Do not call anything impure that God has made clean.” (Acts 10:15) Peter had learned all his life that these animals were unclean and now God was telling him they were clean! Praise God! As was His plan from the beginning of time, He has now opened the door to Gentiles coming to faith in Christ. Let’s celebrate, right? If you’re reading along with us, why am I telling you the story? Because I find a couple of things interesting about it. It is fascinating to see how the Church came into being – it didn’t just spring up fully formed. The early believers were discovering what God intended as they went along. The Scriptural record we have demonstrates that. It’s easy for me to fall into the trap of reading Scripture – both the Old and the New Testaments – from a historical perspective instead of thinking about how it documents what was being lived out. When Acts chapter 10 occurred, Peter was doing a new thing, changing the way forever that the Gospel would be viewed – God had granted even the Gentiles repentance unto eternal life! These chapters demonstrate that obeying God brings criticism, even from fellow believers. The believers in Jerusalem criticized Peter for associating with Gentiles. We should never fall into the trap of believing that following God’s will brings peace. We forget how radical a God we serve. His desire is that all should come to a knowledge of repentance, and sometimes that requires radical obedience when God lays out a radical game plan. As believers, at least as believers living in the United States, I think it’s often our tendency to talk people out of radical obedience. Lord, forgive us and give us a radical faith! I love the way that Peter didn’t seem to get defensive when he was criticized by other believers. He simply “began and explained everything to them precisely as it had happened” (Acts 11:4). It is difficult for me not to get defensive when I am criticized. I’m often not successful at it, but I think there are three primary components that help us not to become defensive: Being absolutely confident in God, walking in humility and loving those who are accusing you. Peter was absolutely confident that God had sent him to Cornelius’ home and he simply explained it to the other believers. He didn’t respond in an authoritarian way, although by rights he could have. After all, he was the apostle, they were not. But he chose to explain all that had happened so that they could also see the hand of God moving and shaping the new Church. Look how quickly the criticizing believers were willing to change their minds. After hearing Peter’s story, they immediately rejoiced. They didn’t feel a need to be right, didn’t raise objection after objection, didn’t seek even the smallest concession to save their own dignity. They celebrated that they were wrong! They celebrated that God had opened the door to the Gentiles. There are probably other lessons in the story, but these four strike me. Did you get the same things out of reading the two chapters? Which of the above four points is most significant for you? Points two and three hit me the hardest. I want to obey God radically and I don’t want to ever discourage someone else from doing the same. And I’m still working on losing all my defensiveness when people criticize me.